I was excited about this opportunity but worried I was sacrificing personal growth, international impact, and adventure by not choosing a placement abroad. After all, I’d been telling my closest friends and family that I was going to be doing development work in Sub-Saharan Africa and the topic was an instant conversational hit. Others were so excited for me, and confident in the value of the experience, they didn’t bother asking what I would be doing or why I was going to do it. Once I decided to stay in Canada, I noticed a shift in conversations about my summer. People began to ask more questions about my upcoming placement. Why do you want to work on changing the engineering profession? What does the Change Lab have to do with development? Why don’t you just do a regular engineering internship that pays more? All of a sudden the details about my placement began to matter and I didn’t know how to answer them. The Engineering Change Lab was an abstract concept to me, and I was unclear on the specifics of my role prior to my placement. 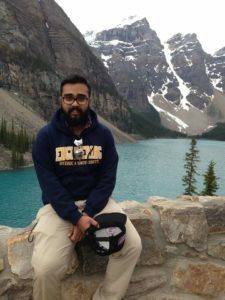 Rather than seeking out more information and defending my decision to work in Canada, I began questioning whether a placement in Toronto was the right choice. I couldn’t have been more wrong. Looking back I realize what an incredible and impactful experience I had with the Change Lab. It yielded a deeper appreciation for the value of engineering profession than my formal education ever could. I met inspiring innovators who see a paradigm-shifting light at the end of the tunnel; men and women who have committed to working together in order to unlock the higher potential of the profession. So my failure in the lead-up to my placement was two-fold. I didn’t question my own assumptions that led me to under-value the importance of EWB’s work in Canada and I didn’t advocate for the validity of this kind of work when others started to question me on the purpose and value of a placement in Canada. The consequence is that I reinforced assumptions at my chapter and within my broader community that Africa-based placements provide significantly more opportunity for growth and impact, and that there is nothing we can do at home. During my time with the Engineering Change Lab I learned what a flawed assumption that is and realized the danger of romanticizing overseas development work. There is so much we as Canadians can and should be doing to create the world we want to live in. I’ve learned that simplifying the concept of development and failing to advocate for a more complex and nuanced definition is a disservice to the Junior Fellowship program and to the systemic nature of EWB’s mission. Recognizing my own biases about development has been a challenging but invaluable experience, and I don’t want the learning to end here. By sharing my story here and with the new cohort of junior fellows, chapter members, and friends and family outside of EWB, I intend to advocate for a more comprehensive narrative of development and encourage others to do the same. Himel Don Khandker is a 4th year Biomedical Engineering student at Ryerson University in Toronto, Canada. Himel had the privilege of coordinating the AGM at EWB’s annual conference, xChange 2016, of being a Junior Fellow working with the Engineering Change Lab venture during the summer of 2016, of coordinating the Evolving Engineering content stream for xChange 2017, and is extensively involved at his university chapter in a senior advisor capacity. When not involved with EWB, Himel works in operations at a food delivery start up, has an idea in a tech-accelerator program that he’s working on, likes to learn about astrophysics, space, and the universe we live in, and spend time with his family.